Twist pen with stylus top $35. 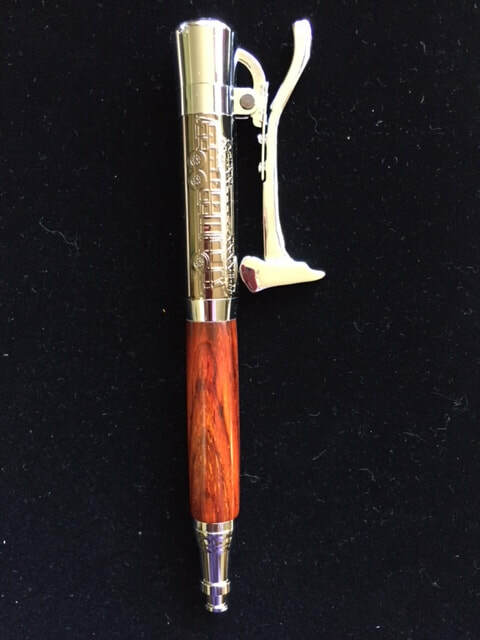 Firefighter's Pen $45. The fire ax clicks up and down to engage the pen nib. There is a firetruck etched on the barrel, and the nib protrudes from a fire hose tip. Dragon Pens $45 This pen has a cat's eye gemstone on the top of the cap.